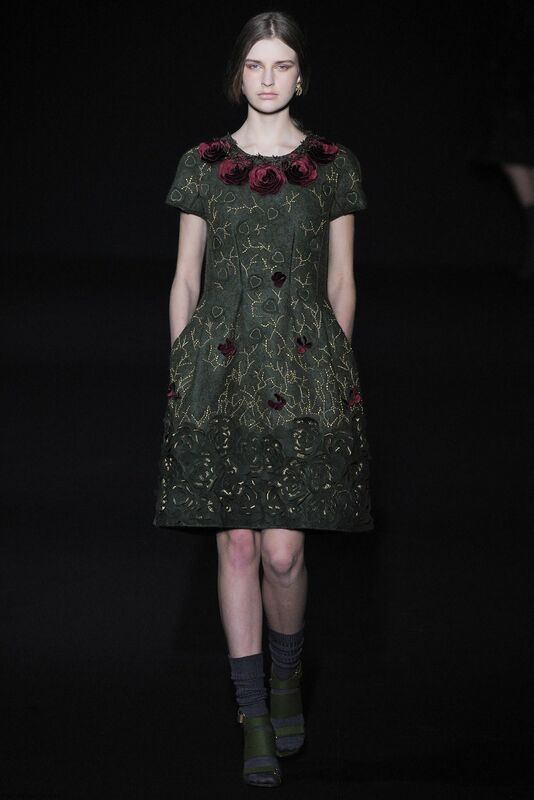 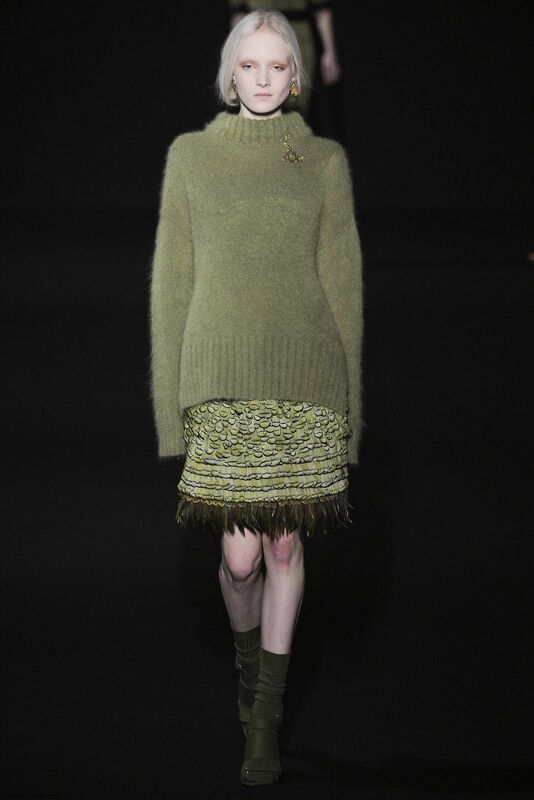 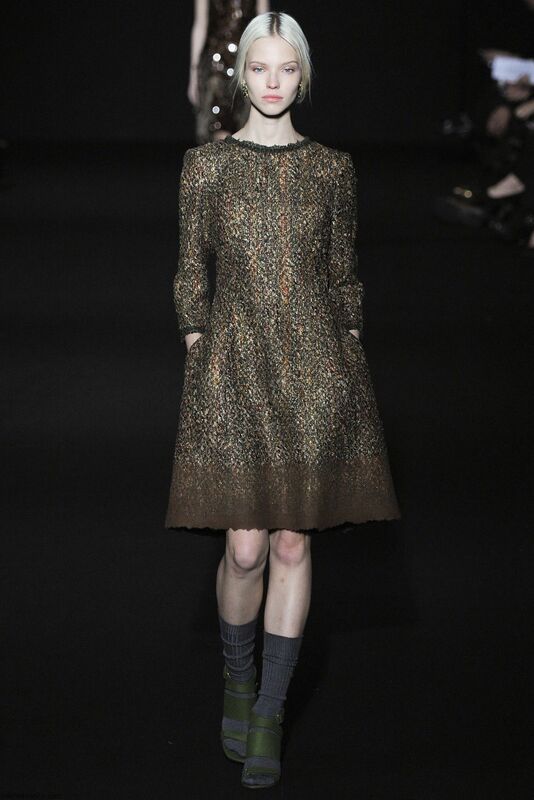 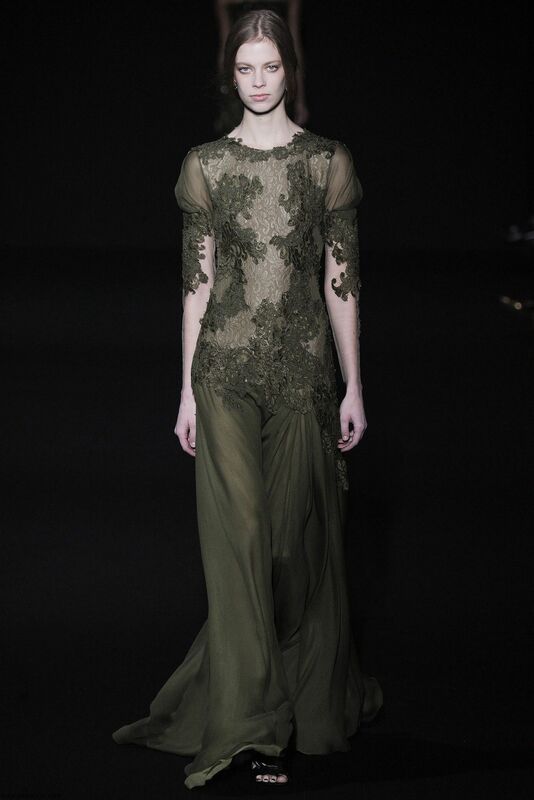 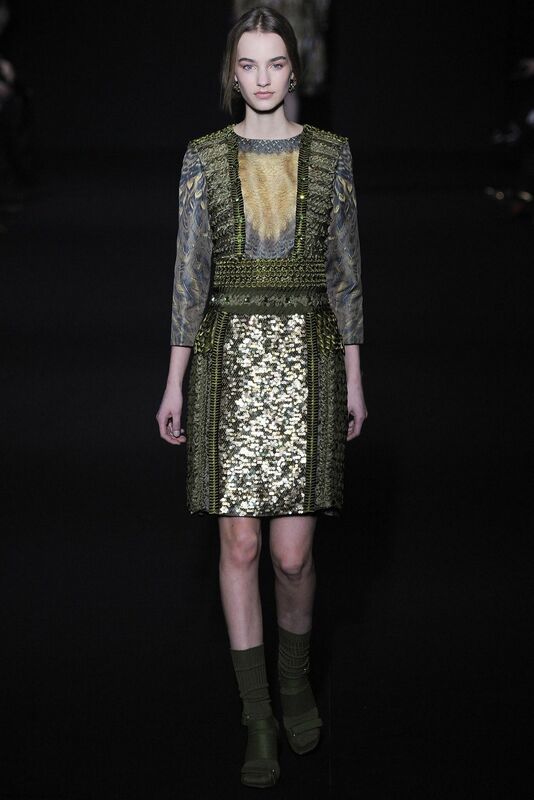 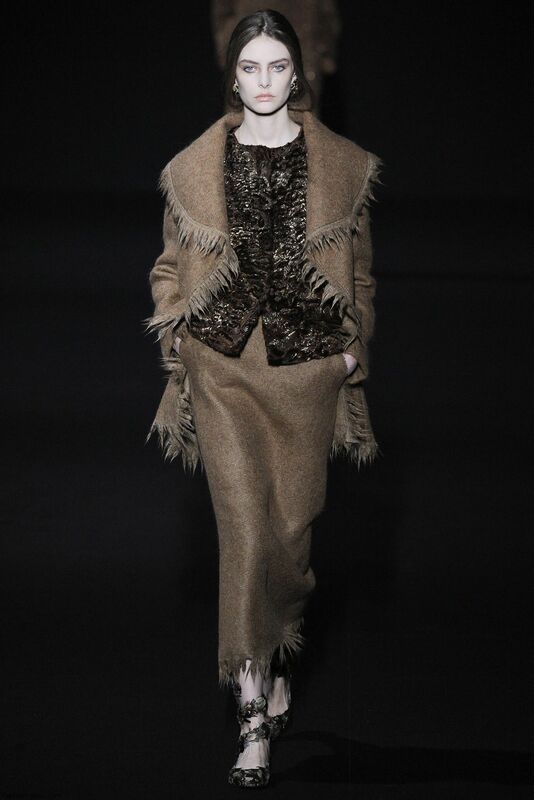 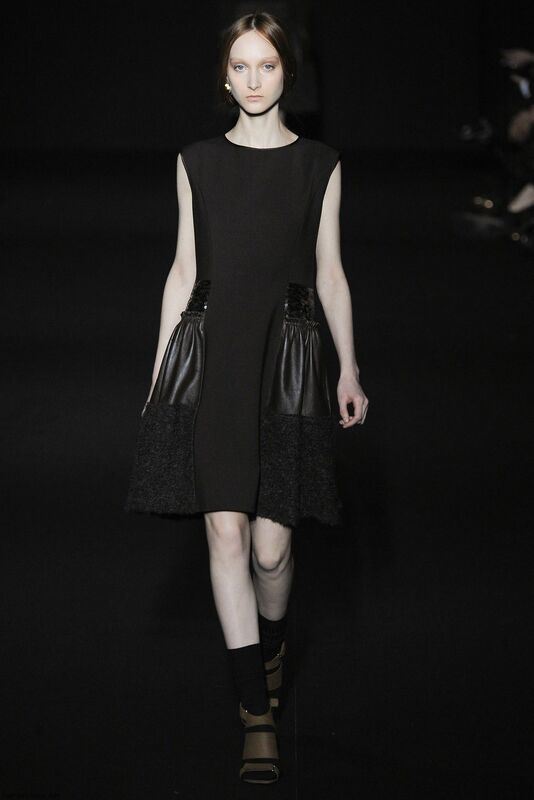 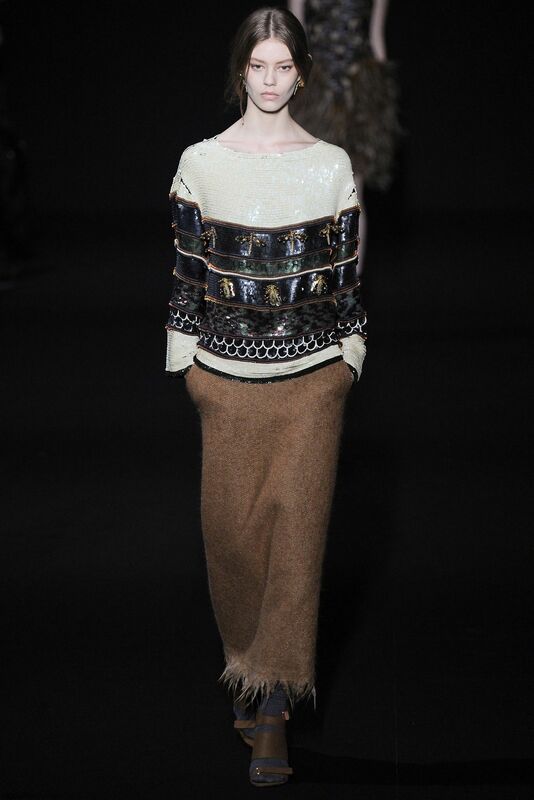 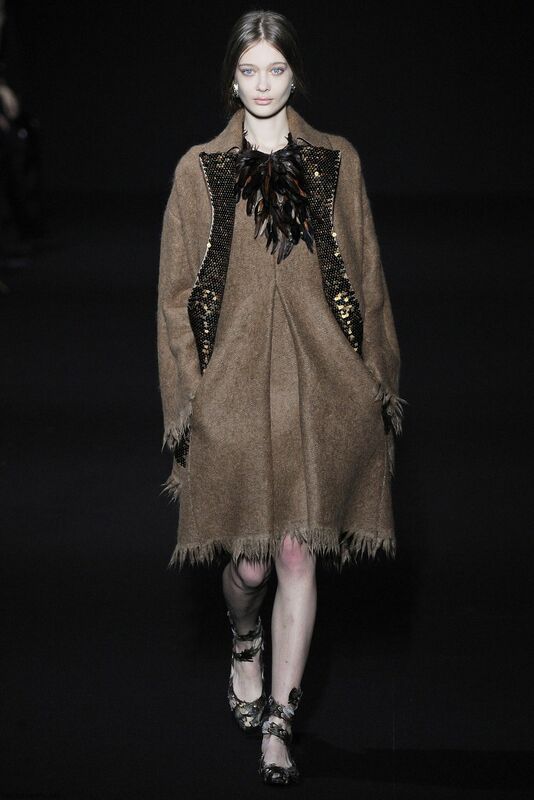 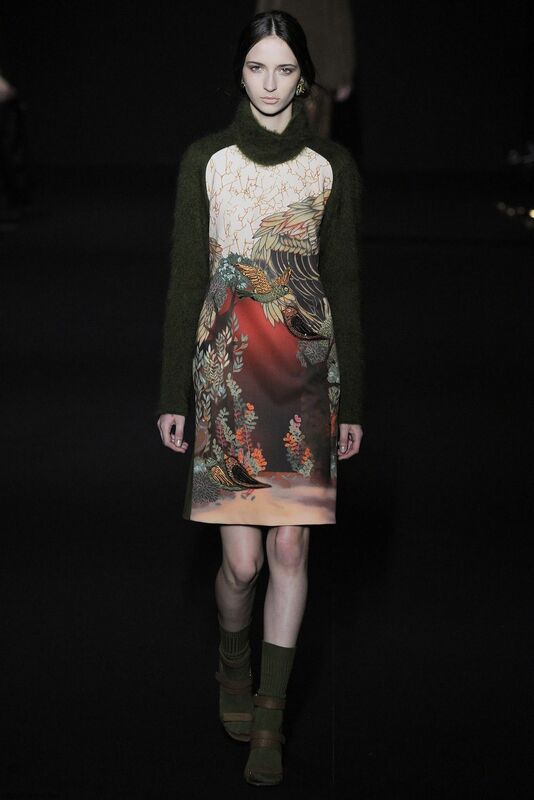 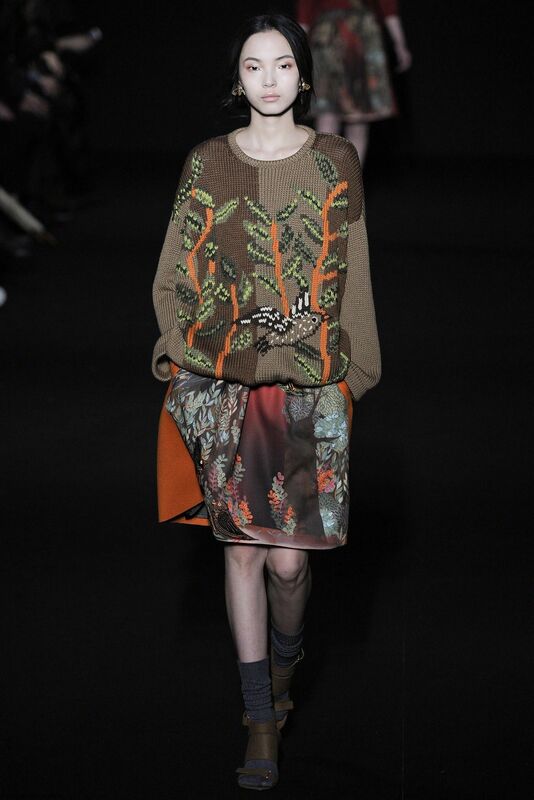 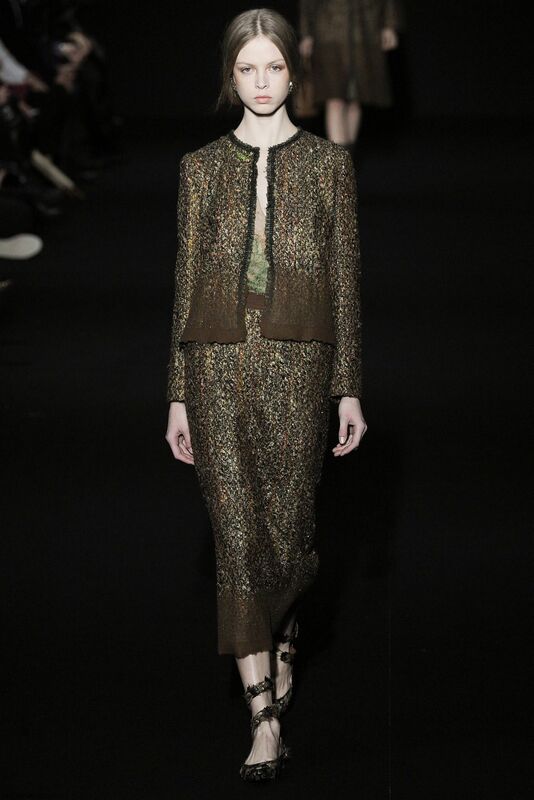 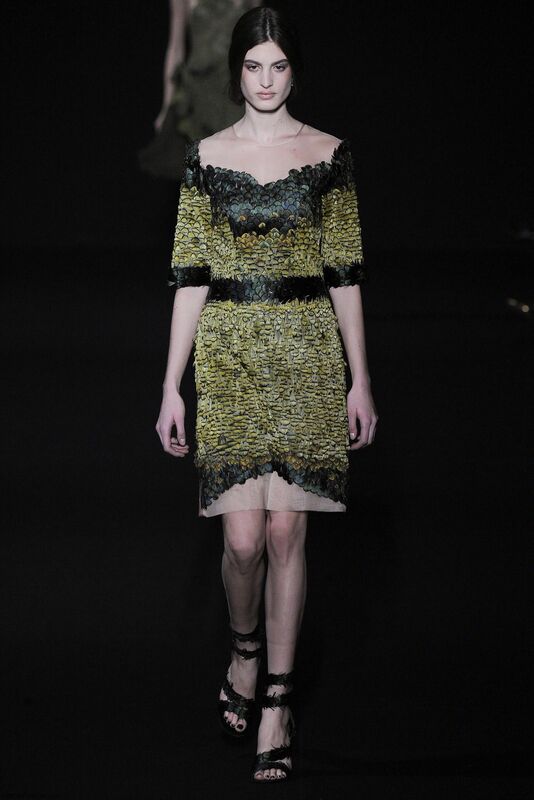 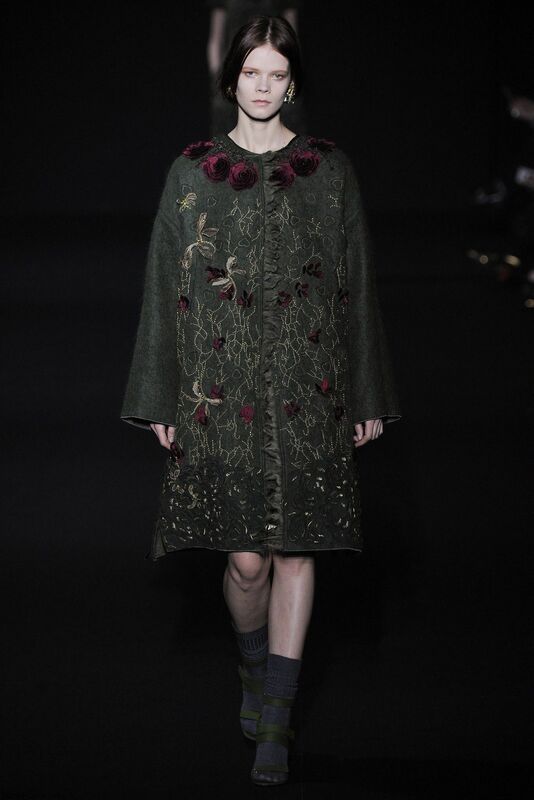 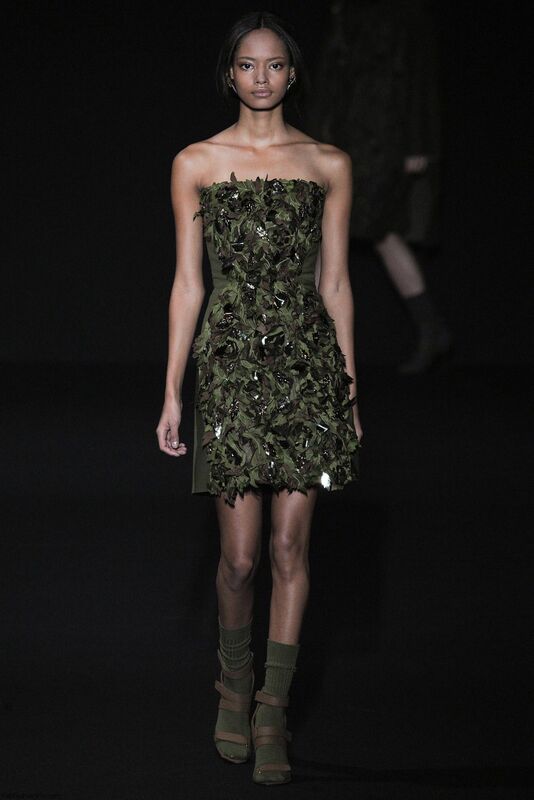 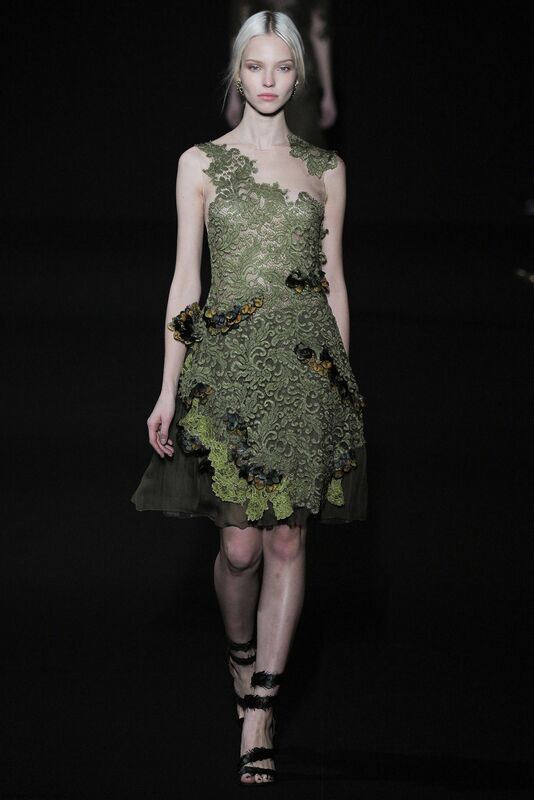 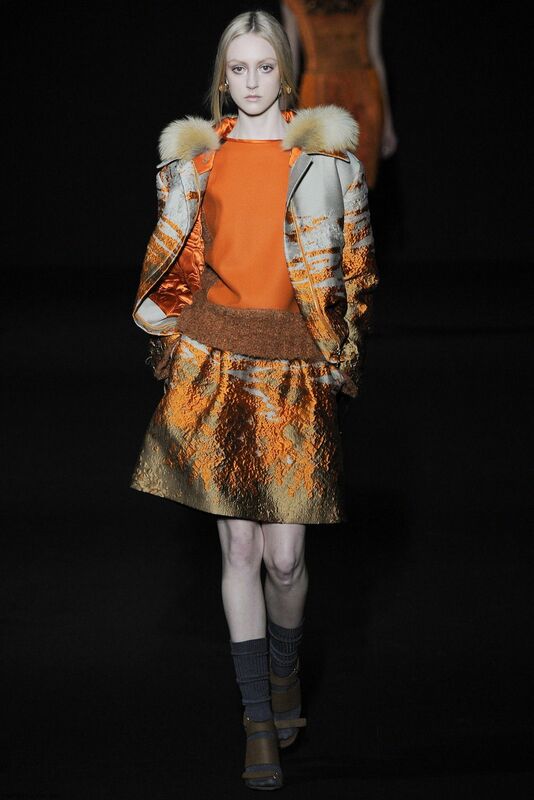 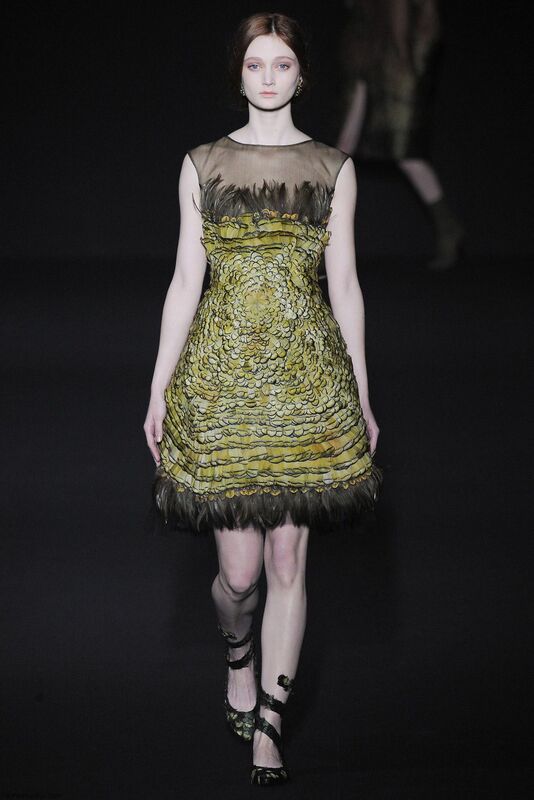 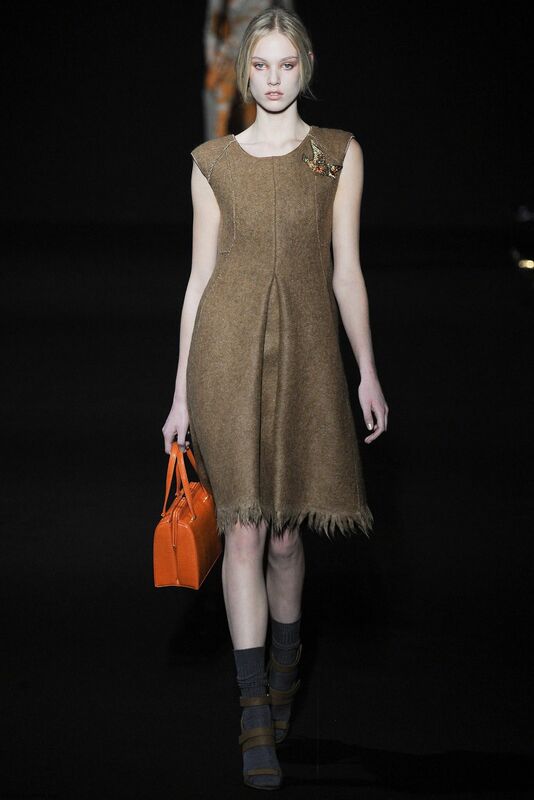 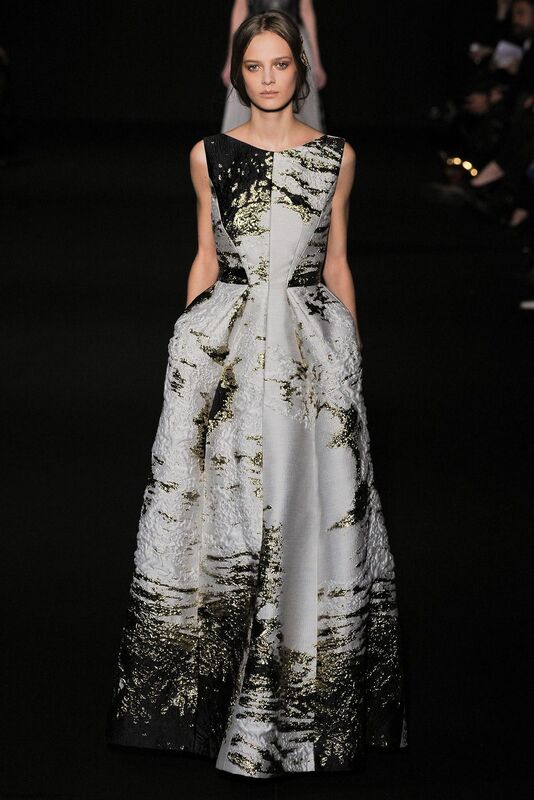 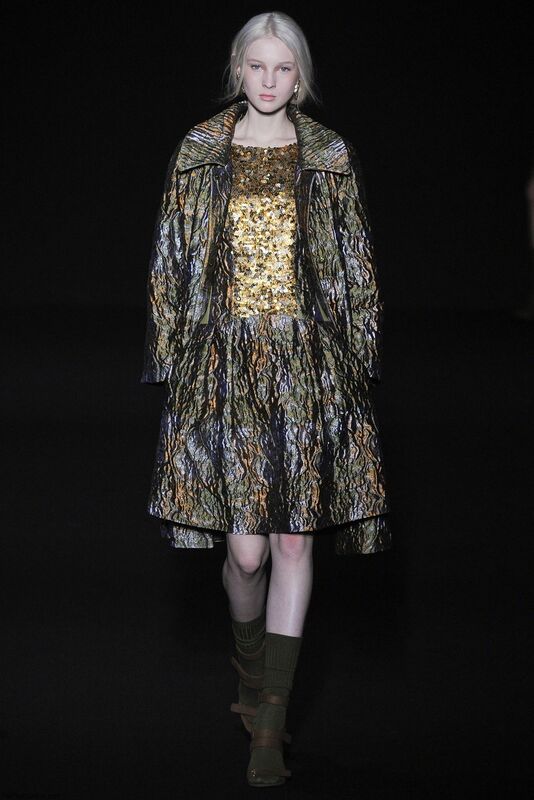 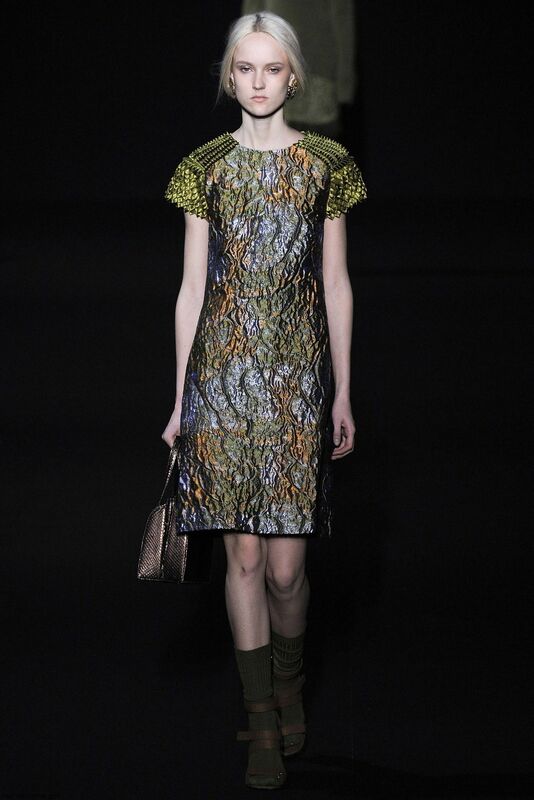 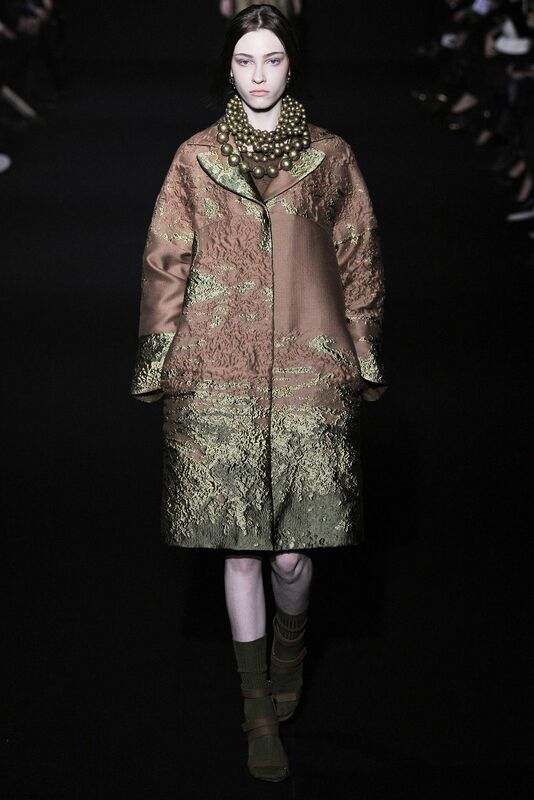 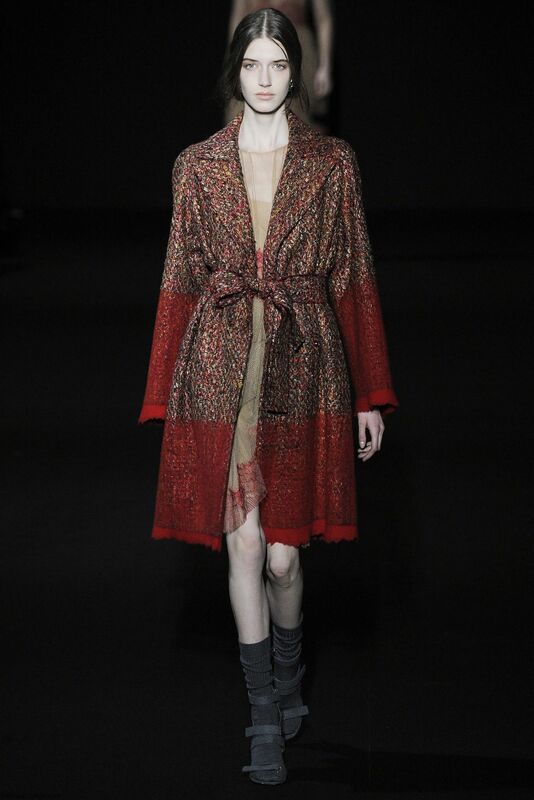 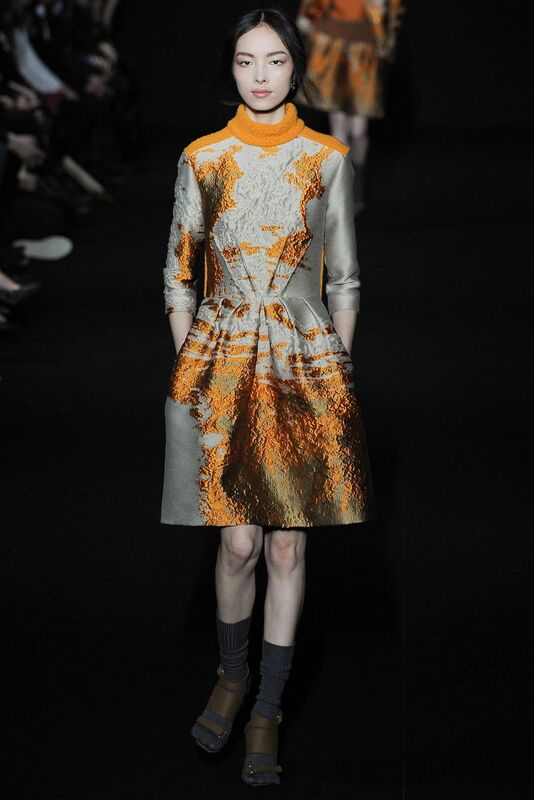 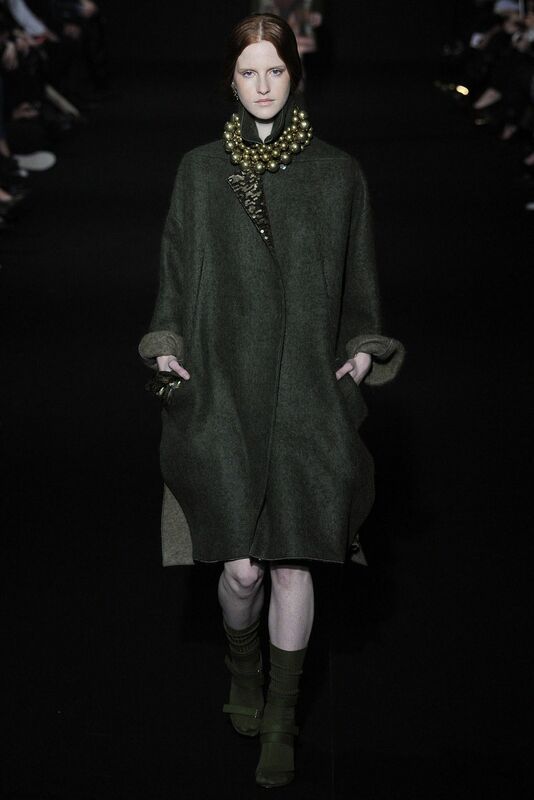 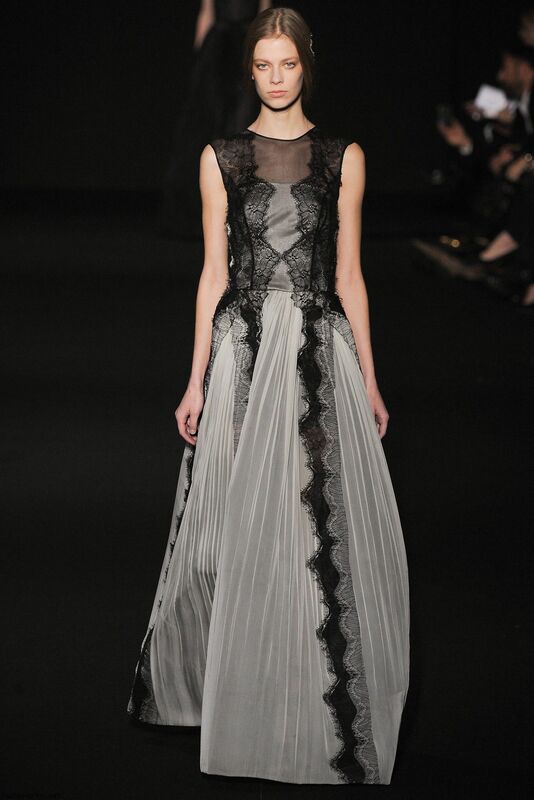 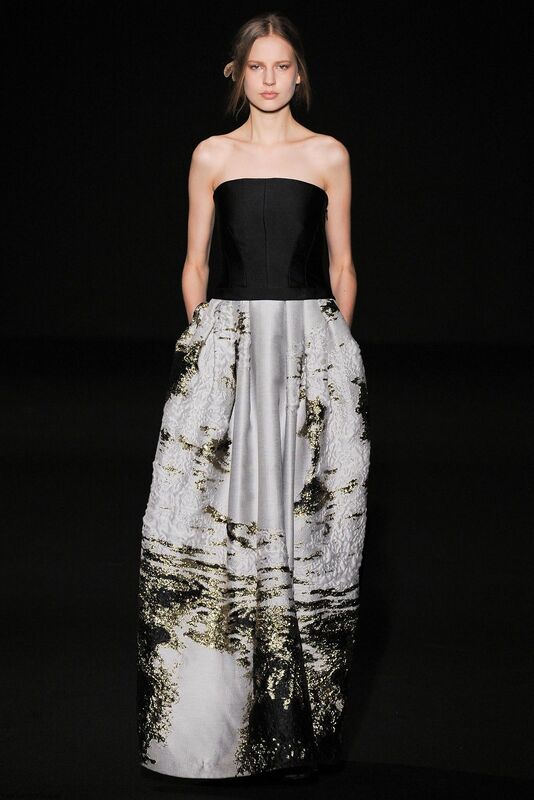 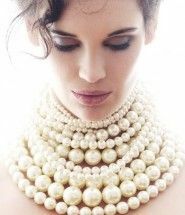 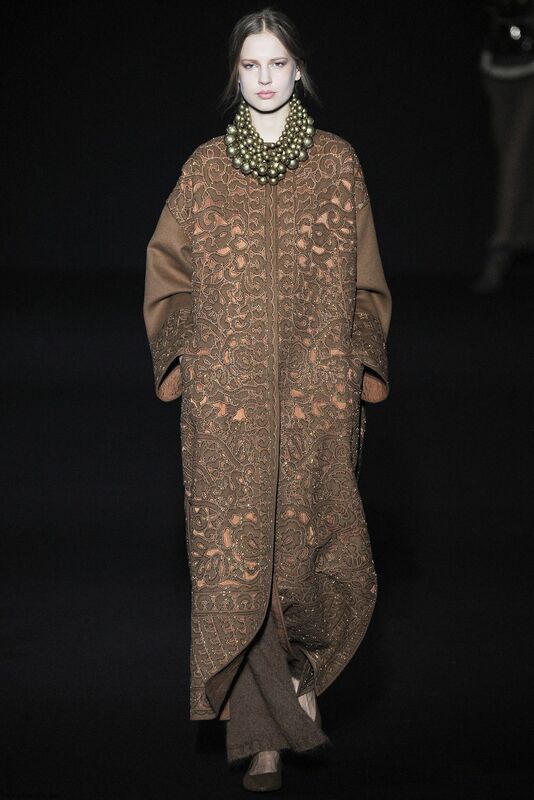 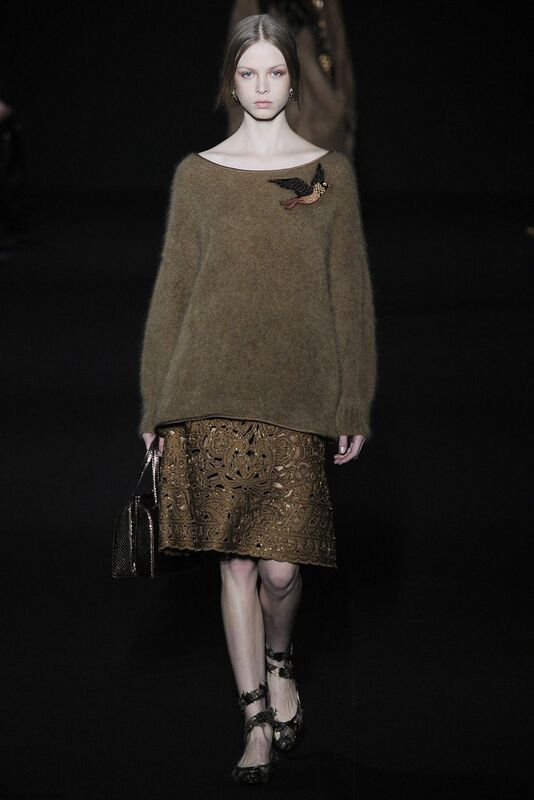 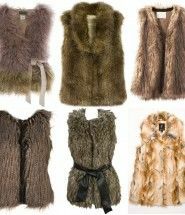 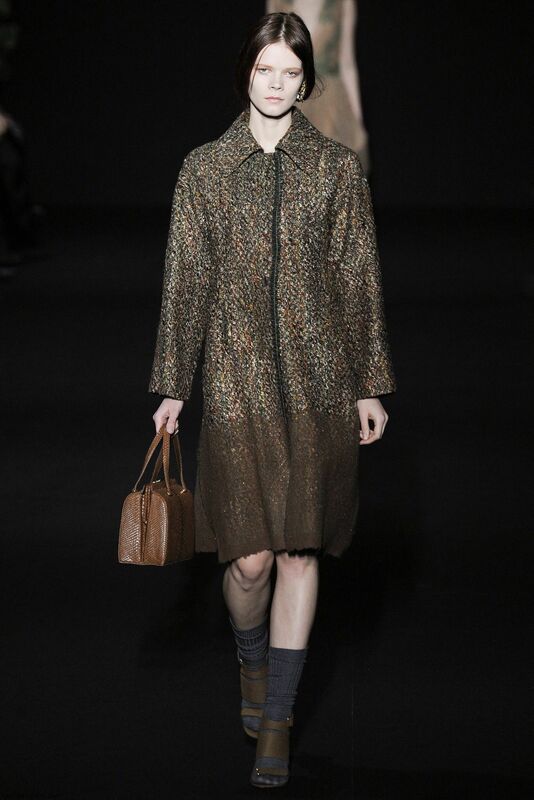 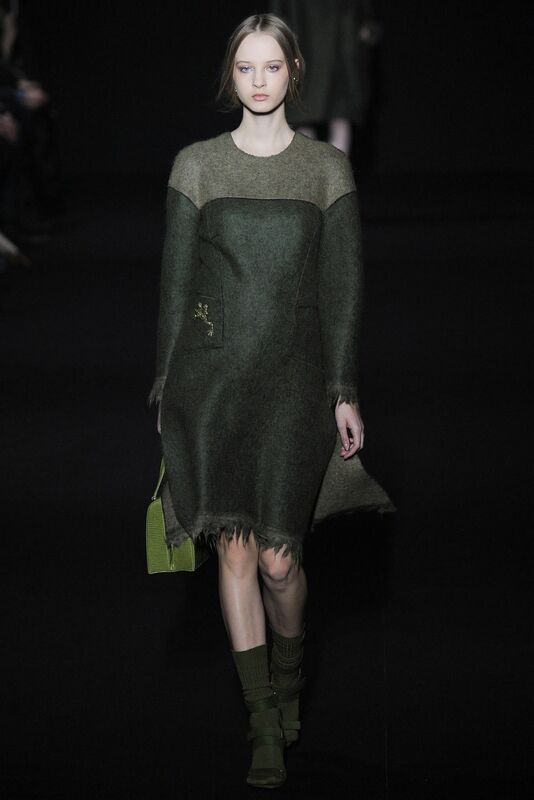 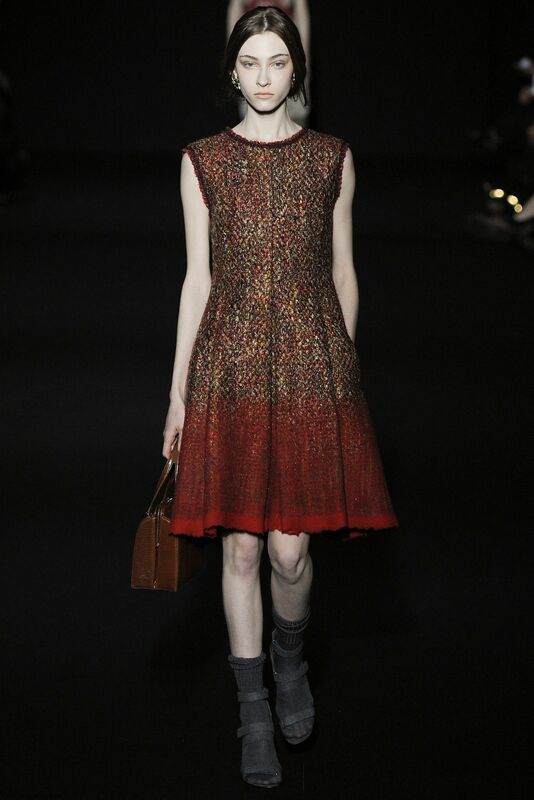 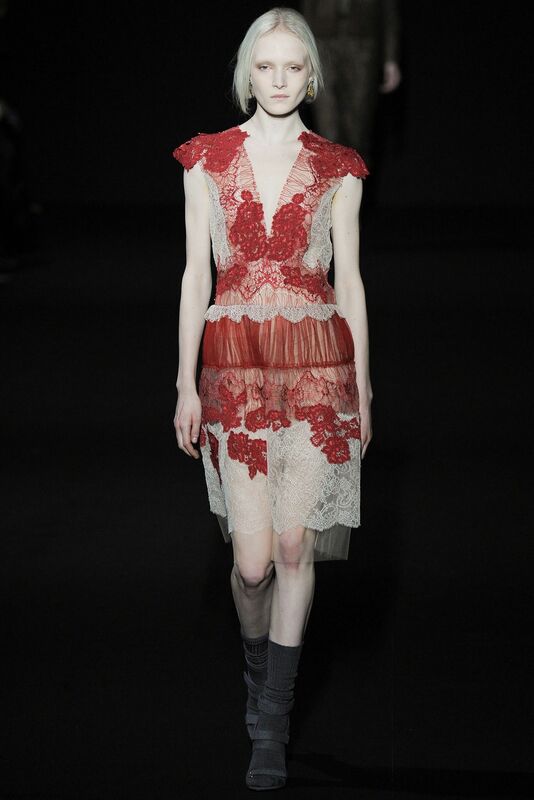 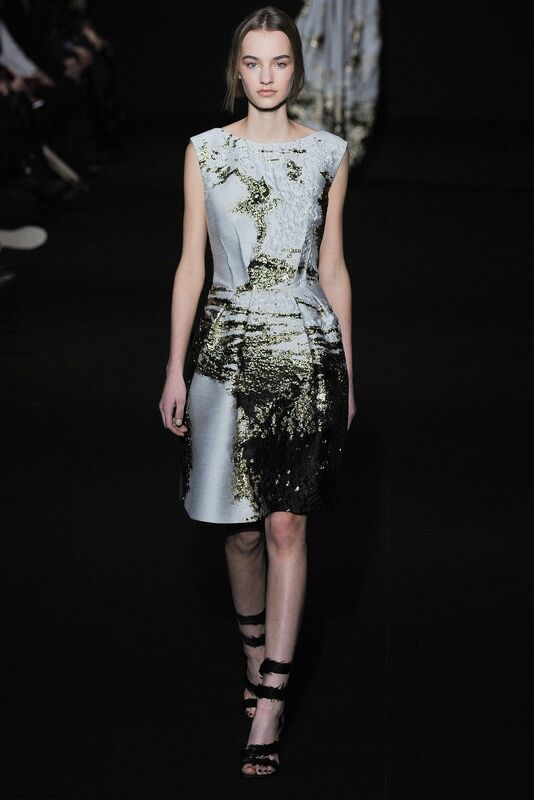 Italian fashion designer Alberta Ferretti presented her new fall/winter 2014 collection at Milan fashion week fall 2014. 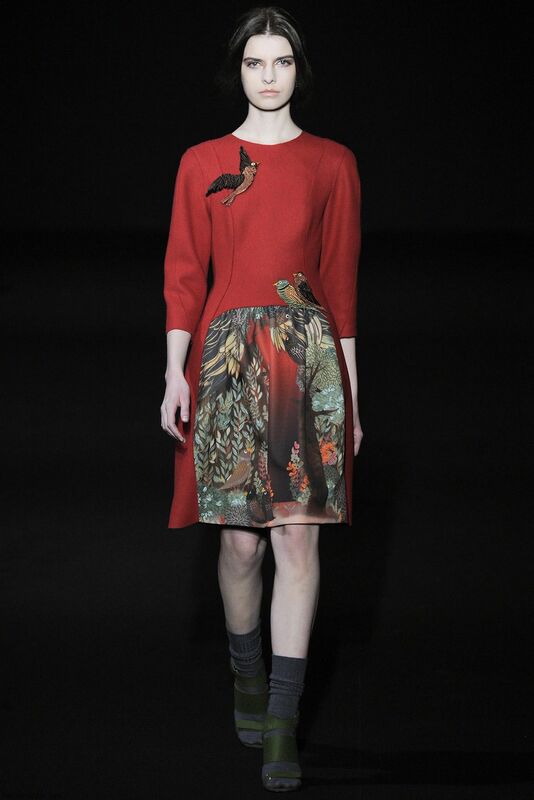 She described this collection as “metamorphosis of nature and woman” with lots of references to the notions of forest, trees and birds. 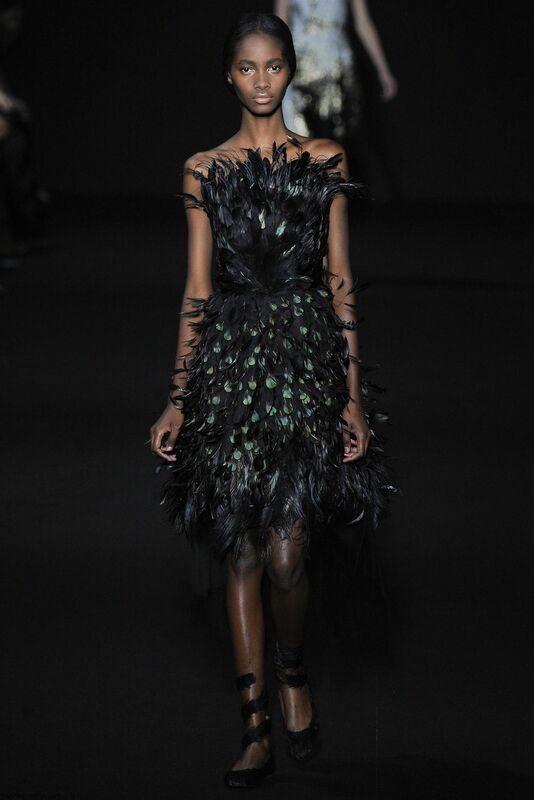 The focus was on gorgeous romantic dress with lots of intricate couture-like details such as embellishments, lace and feathers, all of which one again shows the power of Italian artisanship and resulted in rich collection full of colors and textures.